The luck of the Irish, a splash of green, the Shamrock, Guinness flowing quick and easy, great music and fabulous entertainment all add up to an irresistible Saint Patrick’s Day. It encompasses everything that is Irish. 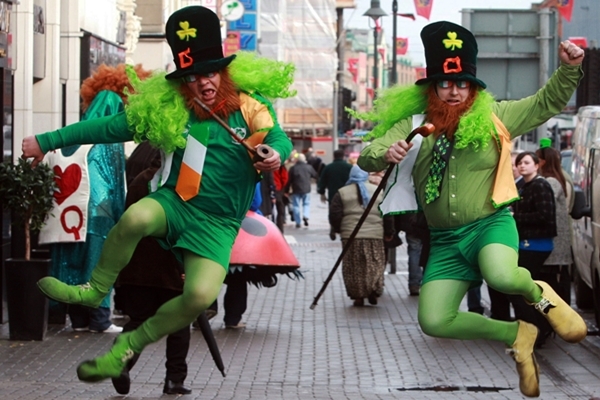 Some of the clichés are unavoidable, but seeing people enjoying themselves, wearing beaming smiles and dancing along to traditional Irish bands is enough to make any leprechaun’s heart sing. But enough of the stereotypes; let’s get the facts straight. When is Saint Patrick’s Day? Well, the date falls during the fasting season of Lent – and that’s 17th March. Whoa! What if that’s a school night? It often is, but you try stopping anyone with a drop of Irish blood in their veins from having a raucous time. And then some! 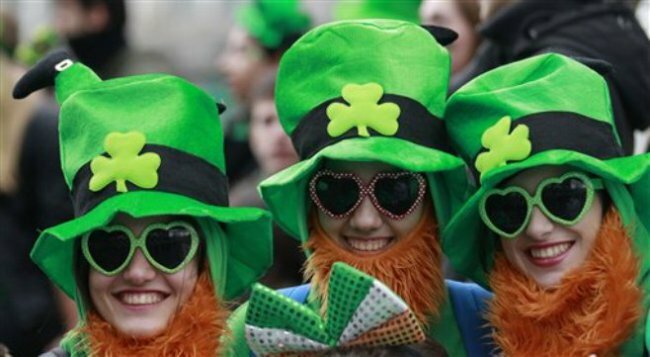 People have been celebrating the feast day of Saint Patrick for hundreds of years. As with many legends and stories of old, agreeing on specific dates is almost impossible. But he was a good man. He became a cleric, served as an ordained bishop, and enjoyed his writing. By the seventh century he was already established as the patron saint of Ireland. 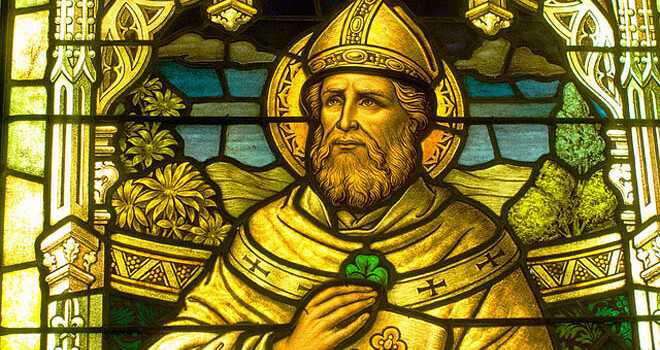 Saint Patrick’s Day is believed to mark the day he died. But far from being a sombre occasion, originally enjoyed by the Irish, these days anyone and everyone celebrate his life. It has serious cultural roots, generally championing Irish culture to the max. But there’s now so much more to enjoy as a modern twist is added to the elements that have evolved from history books. As eating and drinking restrictions are lifted for the day for those following strict religious guidelines (during Lent), people naturally go wild. You can eat the traditional dish of Irish bacon and cabbage, and of course wash it down with a stout and whiskey chaser. Perfect. The alcohol flows and people party to great bands that play their favourite tunes. Throughout Ireland parties will be in full swing throughout the day. Dublin is the place to enjoy the craic, with a million often gathering around the streets and bridges that surround the River Liffey. Shamrocks are worn in button holes with pride, and children often sport tricolour (green, white and orange) badges. Local Irish bands will help to pack the pubs, dance halls, hotels and clubs with infectious tunes from dawn until dusk. Elsewhere, across much of the world, there will also be extravagant festivals as exiled Irish folk invite friends from their adopted land to join them in celebration. And everyone loves championing their roots and heritage, with national costumes, favourite recipes from aunties, unique drinks and of course songs that have been passed down the generations. The United States has a significant Irish population. No, that’s an understatement. According to the US Census Bureau, around 33 million residents (that’s a whopping 10% of Americans) reported Irish ancestry in 2013. So Saint Patrick’s Day, and everything that goes with it, is a big deal in America. In New York City there’s one humdinger of a parade. The city that never sleeps goes into overdrive, with a typically OTT extravaganza down 5th Avenue. There’s no alcohol allowed along the route, but street vendors offer tempting Irish delicacies, pipe bands play and cheeky chaps grab kisses for luck. When the marching groups are done, New Yorkers dash to the clubs and bars that have scrambled to hire a proper Irish band from an entertainment agency. Every act on the circuit will be in demand. As long as they deliver the tunes that matter they will be applauded into the small hours. 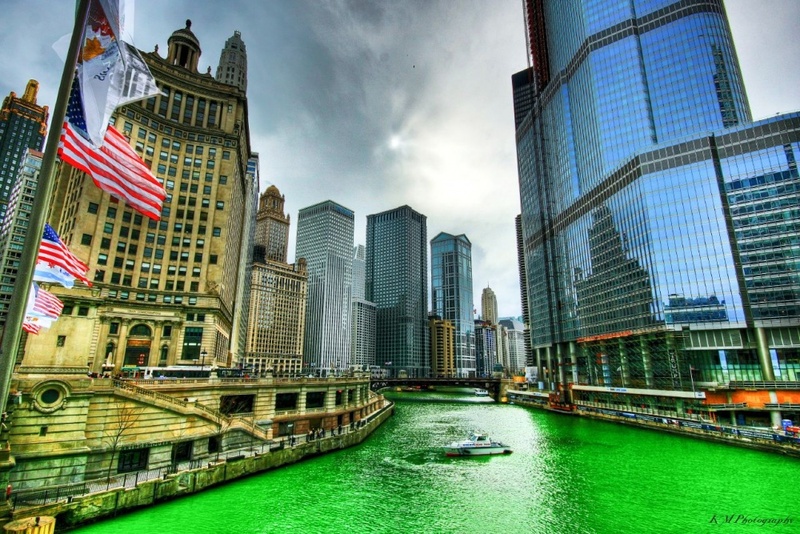 And in Chicago they dye the river green! That stems from environmental concerns in the 1960s when city workers used green food dye to trace illegal sewage tipping. They used a bit too much colouring and the river resembled an emerald serpent for over a week. Everyone loved it and the tradition remains until this day. What about celebrations in the UK? 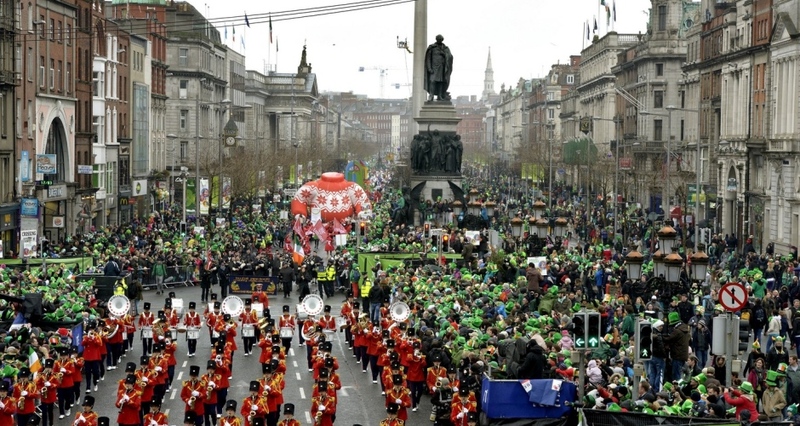 Believe it or not, the largest Saint Patrick’s Day parades are not staged in London. The capital boasts a fine range of events as you’d expect, from theatre to comedy, Irish dance and gatherings around Covent Garden and Leicester Square… but it’s not the biggest ensemble of green stuff. Manchester and Birmingham jostle for top spot with parades involving upwards of seventy floats and over 100,000 people flooding the city streets each year. Those cities welcomed Irish workers across the centuries and delight in showcasing the diversity that the Emerald Islanders bring to the mainland. The big decision for festival organisers is making sure that they book the right Irish band for Saint Patrick’s night. Most want lively songs like ‘Whisky in the Jar’ and ‘The Irish Rover’ that get everyone dancing; songs that allow you to really let your hair down. Warble Entertainment takes great pride in offering the right band for the right event, and boasts stunning acts like ‘The Wild Murphys’ and ‘Jumping Ruffians’, names that conjure Irish exuberance and sing-along sessions that will live long in the memory. Jigs and more traditional music arrangements also set dance floors alight. 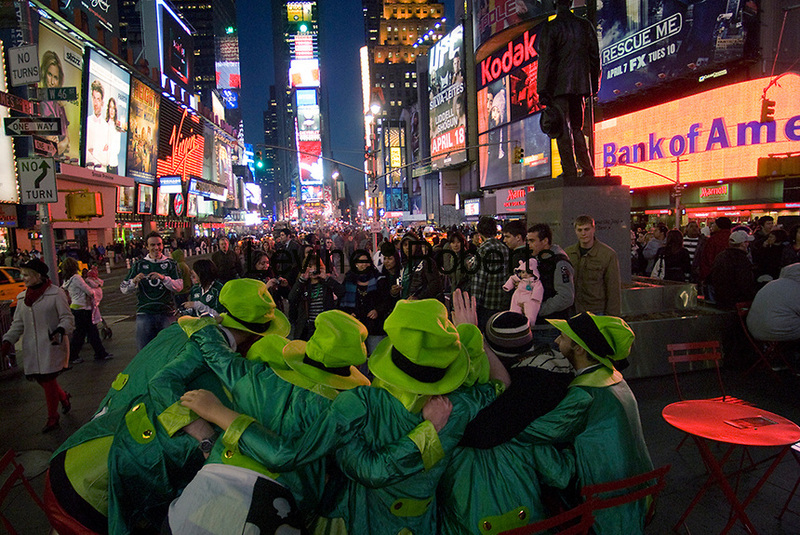 Warble acts are all used to working a crowd, making Saint Patrick’s night a stand-out experience. Our bands and entertainers arrange their sets accordingly. For a more traditional feel, think ‘St Patrick’s Ceilidh’ and the ‘The Celtic Twins’ to really set authentic hearts racing. Getting you the perfect entertainment to compliment your event is what we do. Don’t get hung up worrying about picking bands, selecting comedians or even fire-breathing card jugglers on bicycles. Okay, that’s getting carried away. But we’ll take you through the process from start to finish whatever you need. If you’re really lucky, your employer might join in the fun. We certainly get our office into the party spirit – well, maybe not so much the spirits, but a spread of traditional food and maybe hire an Irish band to play an uplifting set of folk-rock over lunch, or an early evening gig when the day’s work is done. Above all, celebrate the entertainment that Saint Patrick’s Day offers with vigour. It brings out the best in people. Some of the most talented Irish bands will be luring revellers onto the dance floor up and down the country. Make sure that you are one of them. For one night only, we can all be Irish!